I’ve been fascinated with R.K.Narayan ever since I read his novel ‘The English Teacher’. The joke is, when I actually read the novel, I was not at all keen on becoming an English teacher. I was just wanting to be a History teacher as it was my pet subject & is still my pet subject undoubtedly But the moment I read ‘The English Teacher’, I felt something which I had never felt reading the works of other Indian authors….I felt that I was really Indian & nothing can change that whatsoever. I then went on to read one after the other most of the novels & short stories written by R.K. Narayan like ‘The Bachelor Of Arts’, ‘The Vendor Of Sweets’, ‘Malgudi Days’, ‘Salt & Sawdust’, ‘The Mahabharata’, ‘Under The Banyan Tree & Other Stories’ etc. Every time I read a new Narayan title, I felt that I was reading into the heart & soul of a real writer, who….was just like me. He saw the same things that I as an Indian saw, he felt the same things as I feel as an Indian & most importantly…he loved being an Indian & describing the India that was real…STARKLY real, & yet…there is a lot of love, hope & moving on. I was then a few months ago the proud owner of my dear R.K. Narayan’s autobiography ‘My Days’ but which I was only able to read last week due to the work regarding the publication of my own book. For Narayan sir in his life was always optimistic, even when after six months of waiting, publishers rejected ‘his’ works. I could not even believe that some publisher’s had actually rejected ‘MALGUDI DAYS’ the epitome of Indian living & the Indian thought process. I was aghast when reading through Narayan sir’s life I realized that his first four books which were held later on as one of the greatest works in Indian fiction, did not earn him enough of cash. 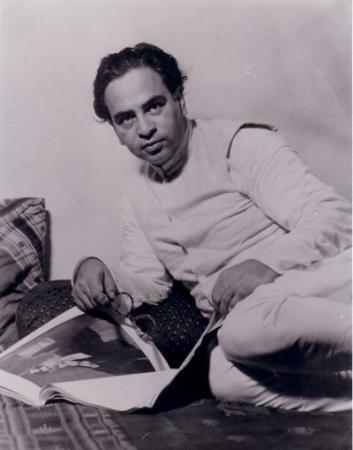 When I read through his struggles as a man of letters, I found myself…however, by the grace of God I had Kindle & Amazon on my side to make my start very – very easy as a writer of English fiction…..but Narayan sir was completely lost in the beginning because of the lack of publishers who were genuine. I was glad when Graham Greene came to Narayan sir’s aid & became his life long friend after that. R.K. Narayan also I feel shows a gradual development in his reading tastes & then his way of writing. It reminded me of my own writing style which has changed over the years from simple theology to mysticism to complete fiction & these days to fantasy. However, R.K. Narayan’s character’s were all (or most of the time) people who he really knew in reality like Mr. Sampath the publisher who features as a prime character in a novel. The best part about the characters are that they all feel real, they are not artificial although the town of Malgudi in which all the stories take place is unreal…these characters are the real down to earth common Indians we see selling us our vegetables, sweets, fruits, fish ; the people like our irritating clerks, our over enthusiastic young teachers, our boring college professors, our elderly grandmothers chewing their paan etc. I especially relate with Narayan sir’s love & enchantment with the city where he grew up – Mysore. I was on vacation there last year & I could definitely relate with Narayan sir about the beauty of the place especially Chamundi Hill. The autobiography to me was an eye opener regarding that in a writers life there is going to be a lot of struggle & letters…..but I am ready for it, full on, just like my hero R.K. Narayan, the Grand Old Man of that little town which lies in the hearts of all those who love their India…Malgudi.